When I was a teenager, I frequently went on whitewater canoeing trips on the Delaware River. On the second day of our weekend trips came the most challenging rapids. Later in life, I learned that there are much mightier rivers in the Western United States and elsewhere in the world. However, the rapids on the Delaware did pose a real -- even potentially deadly -- challenge. It was a good thing that we came upon the most powerful rapids on the second day of our weekend trips. The first day was the chance for me and my boatmate(s) to get to know our little canoe, and for us to find a common rhythm. Even if we'd canoed together before, it took time to synchronize our paddling, our steering, and our crisis management. Over the course of that first day, we'd figure out who was best suited to the stern (where strength and steering skills were needed), who was best suited to the bow (where an eagle eye and ability to execute subtle movements was needed), and who (if there was a third person) was best suited to sitting in the middle and being an auxiliary team member. By the time we were facing that most challenging of rapids, we had learned something about one anothers' strengths and weaknesses, and how to communicate important information or instructions efficiently. Once we were inexorably headed for those most challenging rapids, my whole body would rise to attention. I can still see in my mind's eye the huge, jutting rocks, and the bulging torrents of water over them. My heart beats a little faster even now, as I remember how we needed to steer just enough to the right in order to allow the water to push us leftward, but not too much. Then, when we were about halfway past the largest of the boulders, we needed to make a hard shift in order to get safely through past the next set of boulders. We would have been doomed had we not agreed in advance on our strategy and learned to sense the meanings of one another's movements, since the din of the water made shouting ineffectual. After the exhilaration of this set of rapids came an unusually serene section of the river, about a ten minute paddle downstream. Here we would go ashore to relax, swim or sunbathe, eat lunch, and revel in our victory. Life at The International Focusing Institute these days is feeling a bit like a warm and sunny shore. The work of the Transitional Board during 2014 was like that first day of canoeing -- they put some systems in place to set up the permanent Board and International Leadership Council (ILC) which followed them. The Board and ILC that came in had to work with me to navigate some rapidly moving waters; working effectively together required us to learn one another's perspectives as well as one another's strengths and weaknesses. One of the rapids we knew would be on the horizon was the passing of Gene. I think we can feel good about the memorial service, the development of the Gendlin Center for Research, and the Felt Sense Conference which has begun in his honor. David Rome's last Board meeting on June 13 marked the end of this era. For four years, he was at the helm as we readied the Institute to navigate rapids. The ILC still has three of its original group, but David was the last of the Board which had been appointed in 2014. I am grateful to him for his great leadership and dedication, and glad that he is going to continue to be involved (having proved himself a great fundraiser, among his many skills). The inimitable Paula Nowick takes over as the Board President, and our newest member, Leslie Ellis, is now our Vice President. The ILC has so far not chosen to have officers, but in the last few months, Claude Missiaen has proven himself a great facilitator of meetings, helping keep us gently on course. It is appropriate at this time in our life as an Institute that we have begun a special fundraising campaign which we are calling Stepping Up. Someone wrote to me recently to ask about the meaning so that they could translate our email. I replied that to "step up" has both a literal meaning and a figurative meaning. Literally, of course, it means to walk upward on a step, as when you walk upstairs. Figuratively, however, it means to have the courage to be seen, the courage to do what needs to be done. We chose Stepping Up as our theme because we feel that the Institute is ready now to be more visible and active in the world. And it is because of the time we took together to learn about one another that we are ready for our next challenge. Thank you for having been part of what has gotten us here, and for being with us in our next steps. We are stepping up, and we want you there with us! The Nominating Committee would like your suggestions for who might make a good member of the International Leadership Council or the Board. Please send names to nominating@focusing.org. Also use that email address to ask the committee questions or share thoughts. The Board thanks David Rome for his service as our President over the last 4 years. 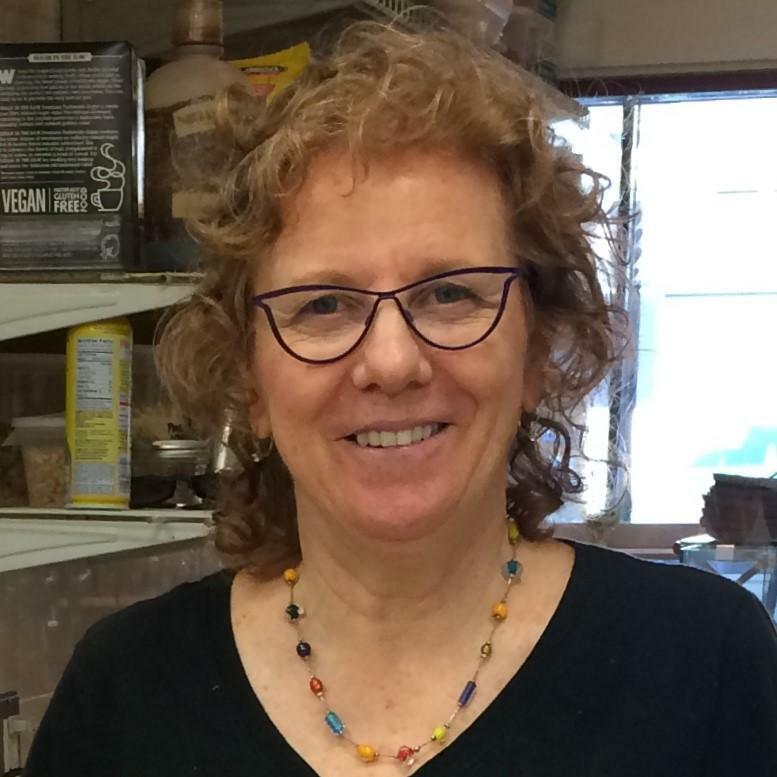 With his departure from the Board, Paula Nowick is now the President, Leslie Ellis is Vice President, Susan Rudnick continues as Secretary, and Hanspeter Muehlethaler continues as Treasurer. For more about the Board, see www.focusing.org/board. The International Leadership Council continues to encourage Coordinators to have their Coordinators in Training (CiTs/CNTS) be part of the Pilot Program for the new system of naming Coordinators. Learn more at www.focusing.org/ccr or www.focusing.org/ilc. Paula Nowick is on the Board of Trustees of The International Focusing Institute. At the June meeting, she was elected the new President of the Board. Starting out as a US State Department researcher in embassies in Tehran and Paris, followed by a thirty-year career teaching high school and college English (with a PhD in Creative Education), then serving as vice president for her husband's environmental consulting company while, in spare moments, co-editing The Folio since 2008, I listened to Paula Nowick as if being read a fine novel. Fresh air is a poetic phrase I cherish from the first time I Focused. My whole life perspective changed when I found fresh air deep inside me, underneath everything stale that I had been carrying. My first Focusing session was a powerful experience: mystical, earth-shaking, and life-reaffirming. Pausing, Paula tells me about one Folio issue titled "Memoirs," which was filled with the first Focusing experiences of over twenty people. She continues, "The stories are a testament to the diverse, powerful gifts of Focusing, and they are part of the reason I am so interested in contributing to TIFI's mission to make Focusing available to the world." Married for 54 years, Paula and her husband are currently involved with raising two of their grandchildren who are going to colleges near her hometown of Springfield, Massachusetts. She is nurtured by the beauty of her Victorian home and garden, cooking and traveling, but above all, by her treasured friends and family. For 10 years now this accomplished wordsmith has been writing, improving, and refining a book, which has changed titles "100 times" but for now, is titled Joy for Sad Sacks, to signify humor for those who find it hard to let go. Paula was enthusiastic about attending the First European Focusing Conference in Greece. She looked forward to supporting their new endeavor by way of doing what she does best: encouraging others in finding their own unique way. With exuberance, Paula ended our interview this way: "At 80 years old I am lucky to be alive! Each day is so full of amazing possibilities - wow!" 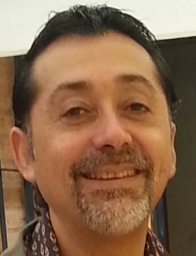 Sergio Lara is a member of the Institute's International Leadership Council (ILC) and will be one of the "Collaborating Coordinators" at the upcoming Weeklong in January. Sergio: When I was a child I loved to be in silence. I loved to feel nature, to touch it, to smell it. I always had a contemplative soul. As a teenager, I did contemplative exercises. For example, I would go to the country or to the sea and I would experience the feel of those places. During this time, I also formed a community with others and we would do exercises to be in touch with the soul and the body. Then I went to medical school and spent two years there before I had a crisis. I saw these people in the medical system had egos so big that I wondered to myself, what is this? So, I left there, and I entered a monastery for six years. While I was there, I had a very strong experience. All of us were there in the monastery in silence. We didn't talk, we didn't watch the news, didn't listen to a radio. It was a very special time. I discovered things I had never known: how the grass grows, how the birds sing. I learned the necessity of humor and optimism. There I had a conversation every week with another monk. He never pushed me to think something or to say something. He was only my companion. It was my only deep conversation for the week. In this way I learned Focusing but without the name, only the experience. While living in the monastery, I learned to be in touch with my body, my felt sense. Even if I wanted to, I couldn't escape my experience. I could not go see a film or have a beer. I could only pray and meditate. That was a very strong experience in my life. 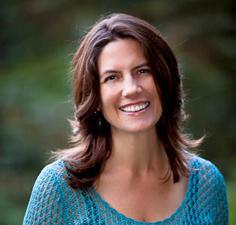 certified Focusing practitioner in the Seattle area of Washington state. The TIFI Membership Committee has been meeting approximately monthly since November 2015. We currently have ten members, including Mary Jennings (Ireland), Jane Quayle (Australia), Heather Rogers (New Zealand), Roberto Larios (Mexico), Jocelyn Kahn (US), Wendi Maurer (US), Caroline Copestake (Spain), Tine Swyngedouw (Belgium), Mariana Pisula (Argentina), and Susan Lennox (US). 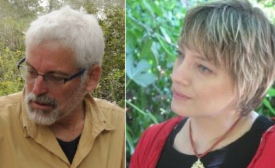 We want to warmly thank former committee members Hejo Feuerstein (Germany), Javier Romeo-Biedma (Spain) and Florentino Sassoli (Argentina) for their contributions. The Committee's primary mission is to serve and build community among TIFI's current members. Our focus during our first year was on developing new member benefits, including Focusing Roundtables, Cafecitos, and Trainer Talks. 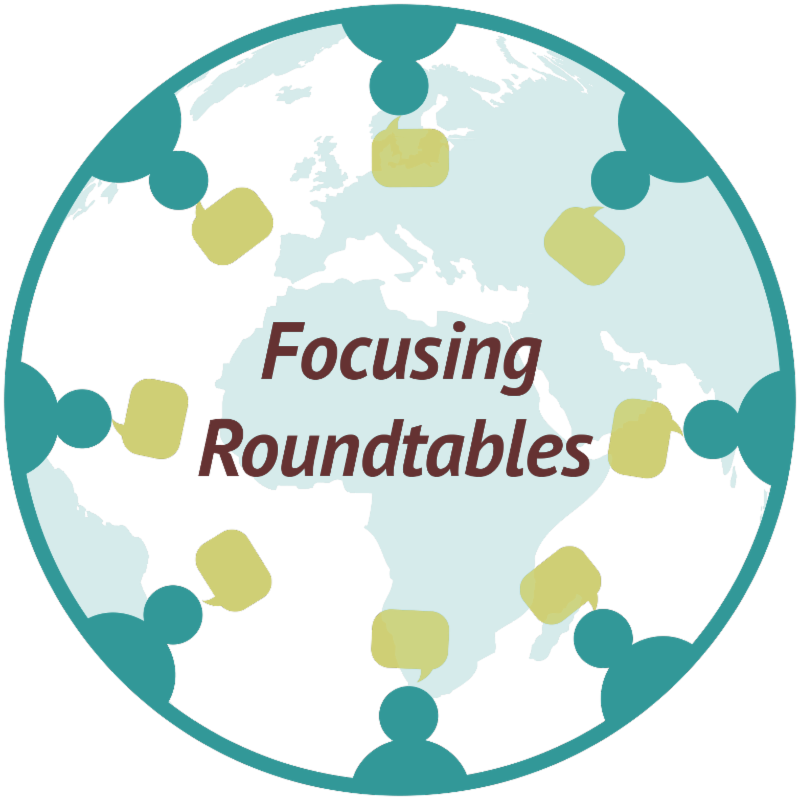 Focusing Roundtables are small group online conversations around various Focusing-related topics. These gatherings enable Focusers from all over the globe to share their experiences and explore a topic of mutual interest in a casual peer-to-peer environment. We have had excellent geographical and cultural diversity in our attendees. The Membership Committee hopes to be able to present a Roundtable each month so watch your email and the TIFI store under workshops for upcoming events. If you have an idea for a Roundtable topic, please send your suggestions to membership@focusing.org. 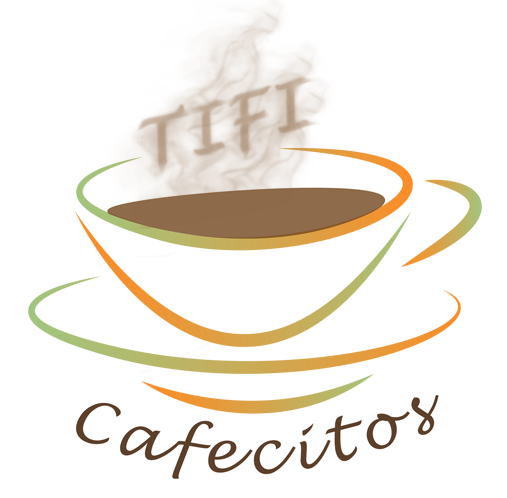 Cafecitos, capably spearheaded by Mariana Pisula, are Spanish language Zoom sessions with a live presenter and attendees. Spanish-speaking members learn about upcoming Cafecitos programs by receiving a personal email announcement. Upcoming programs also can be found on the TIFI Spanish language Facebook page and in the TIFI Store under workshops. roughly four times per year. We would love to bring them out more often, but we need more volunteers to help with interviewing and recording the talks. 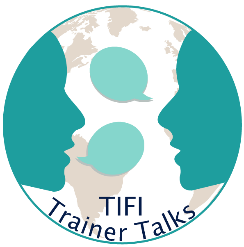 If you would like to volunteer to do an interview or if you have ideas for additional topics that would be useful to TIFI professional members, please send them to membership@focusing.org. In our second year of existence, we are turning our emphasis to creating more programs and connections with TIFI's non-English speaking members. With the leadership of Francesca Castaldi and Nicoletta Corsetti, TIFI supported the launch of four initial Italian Language Roundtables. Francesca's comments on how that project went are below in this newsletter. We are extremely excited that planning is now underway to develop more Italian Roundtables in the future. We also look forward to facilitating a German language Roundtable hosted by Hanspeter Muehlethaler and Donata Schoeller in September, so stay tuned for future announcements later this summer. If you would like to help plan a Roundtable in your language, please let us know. L'Istituto Internazionale di Focusing (TIFI) in collaborazione con Francesca Castaldi e Nicoletta Corsetti ha organizzato la prima serie di Tavole Rotonde di Focusing in italiano. Questi incontri in videoconferenza sono stati offerti gratuitamente ai membri di TIFI e ci hanno dato l'opportunità di collegare e rafforzare la nostra comunità di Focusing. Quattro incontri, uno al mese, si sono svolti sui i seguenti temi: "Fo cusing nella vita quotidiana"; "Piccole personalizzazioni o piccoli nuovi passi nel nostro processo di Focusing"; "Collaborazioni di Focusing"; "Convivere in un mondo di opinioni diverse--e il Focusing?" I partecipanti si sono riuniti da tutta Italia--dal Nord a Sud includendo Treviso, Napoli e Malta e varie città intermedie. Gli incontri riprenderanno in autunno o piu tardi con nuovi organizzatori volontari. Vi faremo sapere i dettagli quando avremo più informazioni. The International Focusing Institute in collaboration with Francesca Castaldi and Nicoletta Corsetti organized the first series of Focusing Roundtables in Italian. These video-conference meetings were provided free to TIFI members and offered an opportunity to connect and reinforce our Focusing community. Four meetings, one each month, addressed the following topics: "Focusing in Our Daily Lives"; "Small Personalizations or Small New Steps in our Focusing Process"; "Focusing Collaborations"; "Co-habiting a World of Different Opinions - And Focusing?" Participants gathered from as far north as Treviso to as far south as Naples and Malta. New volunteer organizers will coordinate more meetings starting in the fall or later. We will keep you posted with details when we have more news. 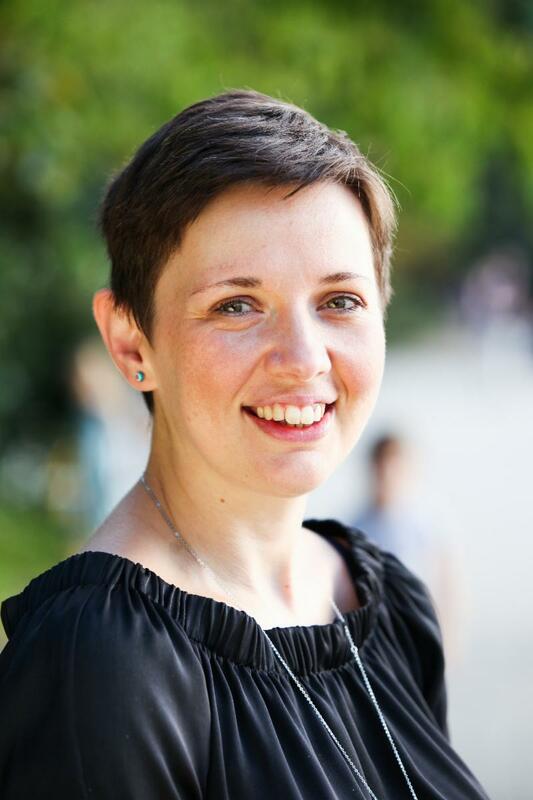 Laura Bavalics is the Director of the Pendula Preschool-Kindergarten and a Focusing Coordinator-in-Training in Budapest, Hungary. Recently Laura Bavalics of Budapest, Hungary and I sat down for a video conversation, touching on many aspects of Laura's life. We started at the beginning with her growing up in Hungary in a warm family that lived life exuberantly, and how her father gave her the gift of social skills while her mother that of patience. 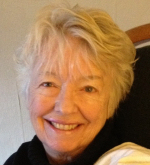 She recalled the formality and stiffness of the educational system and how one music teacher made a lasting difference in her approach to education. Of course, the personal loss of her husband, Zack Boukydis, at a young age, deeply affected her, and she spoke of that as well. She met Zack at an International Children's Focusing conference and they became real collaborators, professionally as well as personally. She shared her journey as a wife and mother, and her deep loss when Zack passed. As she put it, "My professional life is tightly interwoven with my personal life. I would not be the professional who I am without having Focusing in my family life as a wife and mother." 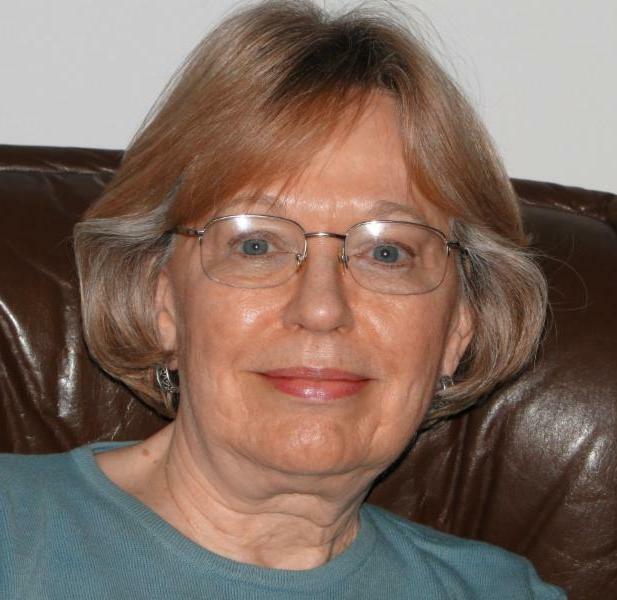 In recalling their life together she wanted to give special thanks to Zack who, although not with us anymore, taught her so much as a Focusing professional and as a person. The bridge class is special to Laura. She recalled, "The only thing the children had to do was to discover that they were not difficult, that they are lovable and likable.... That was the first place I used Focusing each and every day in the classroom." We also talked about Laura's work with the Institute. "It's wonderful having a community that you belong to. Teaching Focusing would be difficult if you didn't have something or someone behind you," she shared. Laura then moved the conversation to her work with the Children's Focusing community. The community has always had its ups and downs. Sometimes it is blossoming and other times it is in a lull. "We know that there are people out there but there is less sharing," she offered. Continuing, she talked about how the International Children's Focusing Conference, held every two years, creates "incredible life energy" but how maintaining that energy once everyone goes home has been a challenge. The online workshops which she has offered through the Institute started from the need to build a more active community between conferences. Laura noted, "Not everyone is able to travel to another country for a Focusing conference. Connecting online is easier and cheaper and gives a wonderful opportunity for people to connect." Another new endeavor is the Children's Focusing Advisory Group. Laura affirmed how important it is to have an active, two-way connection between the Institute and the Children's Focusing community. She recalled an early video call with perhaps thirty people online. "I remember we were all there and excited to be there and were waiting for something to happen. But, there wasn't somebody to hold it together." The meeting lacked a goal to direct the discussion. On subsequent calls, the numbers of participants shrank dramatically to just a handful. From that experience sprang the idea for the Advisory Group, which she hopes can help to provide structure, direction, and inclusion. Three people comprise the group; every six months one person steps down and a new person joins. "It really makes sense because we can hear from more people and, also, no one burns out," Laura offered, "We are hoping to involve more and more people from the Children's Focusing discussion list as well, in decision making, ideas, and thoughts, and find out what would make this community more alive. This is our job, right now." In our final topic of conversation, we turned to the book she is writing on Children's Focusing and play, and their integration. She acknowledged how helpful it has been to teach the Children's Focusing Workshops through the Institute in forming the content of the book. "Most of the book is practical ways about how to use Focusing in the classroom or in the family, with just a little bit of theory," she said. When I asked Laura whether she thought the book would be translated, she shared, "I feel that there are wonderful Children's Focusers around the world. What would be great would be to have a book or manual bringing together a number of Children Focusing professionals who would contribute what they have learned." By putting this intention out into the community, others just might agree and say, "Yes, I want to do that, too." blogger. 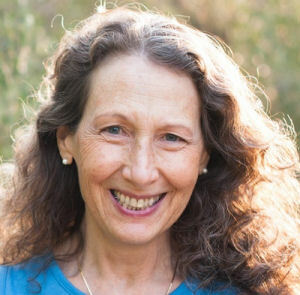 Visit her at centeredbodymind.com. The European Focusing Association (EFA) had its first conference in May, in Loutraki, Greece. The International Focusing Institute congratulates the EFA on a successful (and sold out!) conference. Members of the Board and the International Leadership Council of TIFI were among those in attendance, and reported that the event was full of great energy and enthusiasm. There is a full report on the conference at the EFA's website. The First EFA Conference may be regarded as bringing closer the fulfilment of a dream held by a group of European coordinators who came together in 2009 to plan a Focusing "academy" where those of us in Europe could cross borders and learn from each other, ideally working together in a cooperative and non-hierarchical way. This is not easy to achieve. For centuries there have been wars and conflict in Europe and there remain many challenges. We have to struggle to understand each other on a continent where there are 24 official languages and where, despite English being the most commonly used language between nationalities, the vast majority of us are not native English speakers. Our cultural assumptions and our instinctive ways of relating to each other and dealing with difficult situations are very different. Focusing takes us beyond these differences. As one German participant, who has lived his whole life in the shadow of World War II, said of a very moving interaction with one of the Israeli participants: "It's not just about building one bridge but about building many bridges between nations." 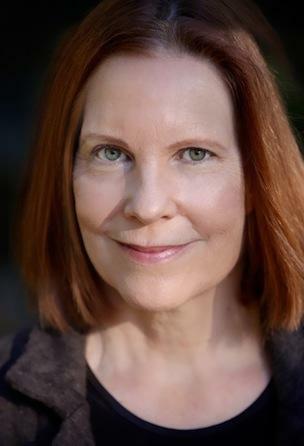 Cynthia Callsen is a certified Focusing-Oriented Relational Psychotherapist in New York City, and she is passionate about developing the local Focusing community and finding ways for it to thrive. I would say that to a very large extent WE have fulfilled this mission. The WE includes those who helped from the very beginning - Larry Hurst, Naomi Glicken, and Katya Salkinder. WE also includes all who have served on the Planning Group throughout our 10 years, the many meeting presenters and facilitators who have given generously of their time and shared in our purpose, and all those who have participated in our meetings. The life energy behind the Tenth Anniversary celebration as it developed in our Planning Group centered on our history of meetings as a focal (or pivotal) point into the future. Looking at the meetings we have had was our way to develop a felt sense of the whole of our existence over time, how it is in this moment, and what is the right next step to carry us forward into the future. To accomplish this experience, we created a poster for each of the 52 meetings that we have had, from our beginning through to January, 2018. We posted these, gallery style, around the room. Giving participants ample time to take in this gallery of meetings, we then reconvened to have some personal Focusing time. We followed that with a group conversation about what comes from all that has been, and also what is wanted moving forward. 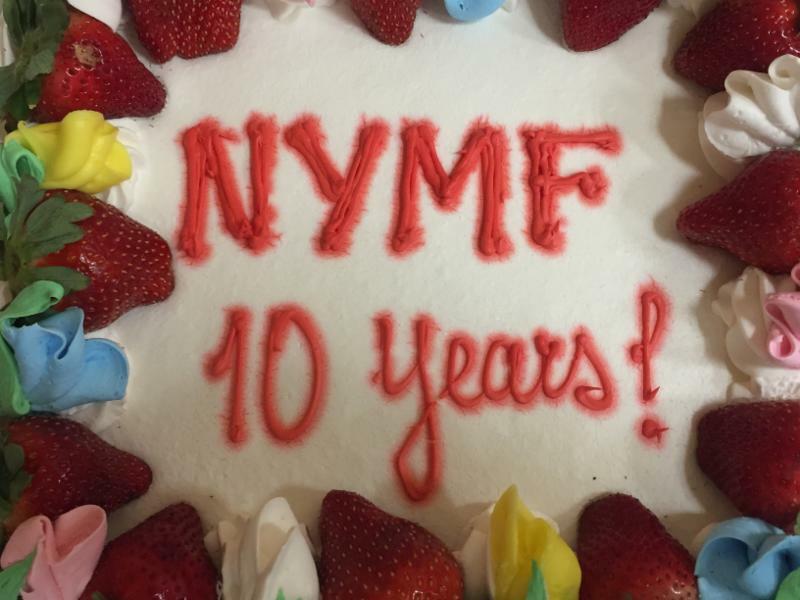 The conversation that emerged from the whole group -- about the meaning of NYMF to each person's life and the sense of a Focusing community here in this metropolitan area -- was deeply affirming. Participants seemed to want more of the same: experiential presentations, Focusing conversations, opportunities to meet up, and an ongoing sense of belonging (even if that means just being on our mailing list). More opportunities for spin off groups - special interests in topics like writing, aging, A Process Model - more opportunities to talk about environmental and social topics that are demanding our attention in this age of turmoil, more opportunities to reach out further to other communities and age groups - these are just some of the ideas that will carry us forward into the future. I personally was deeply moved by the participation in this meeting, the engagement in conversation, and the honoring of our existence over time. The meeting energized me to recommit for another 10 years! I realize as I move through this next decade of my life that one thing that I can find meaningful is my involvement in NYMF and its continuing emerging growth, part of the founding philosophy of Eugene Gendlin. The living process is what brings more energy to continue on. The meeting ended with the right joyful flowers, prosecco, cake and other delectable eats. For an archive of our meeting notes, photos, and an awesome video of a first-time attendee (a guest of Lynn Preston) in conversation with Lynn the next day after the meeting, click here. This month we feature an article written by Derek McDonnell, published by the Irish Foster Care Association in its journal, Foster. Derek is a Coordinator with TIFI who brought Focusing to Northern Ireland during their conflict years. He has worked in the areas of social care, mental health and child protection with the Department of Health in Ireland for over 25 years. In his work with TUSLA - Ireland's child and family agency - he has introduced Focusing to foster carers, social workers, and teachers. He provides crisis intervention to children and their families through individual, small group, and school-based sessions. He named this Focusing program "The Interactive Pause Program." Focusing is a process that is all about small steps forward and not about gigantic changes in how you accompany children. It offers a unique element in that it gives children their own internal reference point that allows them to develop a capacity to make contact with and listen to their body's sense of any situation. This provides children with an inner framework, to regulate their emotional world in a healthy and balanced manner and find the right steps and answers that fit for them. Focusing can help children gain an awareness of how their own expectations, attitudes and reactions affect their interactions and relationships with others. It offers a safe containment in which to process difficult issues and trauma in a tangible way. It gives children and young people a more responsive rather than reactionary way of living in the world. It allows foster carers to come from a more open stance, gaining greater skills in defusing and dealing with challenging behaviour, and providing clarity, when making decisions, with young people. 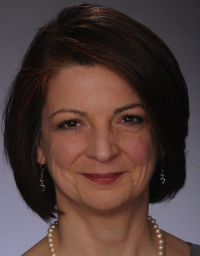 Evelyn works as a self-employed trainer and coach, facilitating innovation, professional and personal development. As team facilitator she enables trust, respectful interactions, productive conflicts, co-creation and consequently extraordinary results and solutions. She is in charge of TAE training at the German Training Institute for Focusing (DAF) and she presents international TAE workshops and TAE online sessions. Ram believes that Focusing is significant to the practice and study of design, because design-thinking involves a similar iterative crossing between "experiencing" and "expressing". As an Assistant Professor of Landscape Architecture at the Technion, Ram developed together with Dana Ganihar, a course called "Focusing In The Design Studio" which has recently been incorporated into the Technion architecture catalogue. In 2018 he taught a design studio at the Mazor Psychiatric Hospital, portrayed in the short documentary "Architects of the Soul." 6/2018 Thinking emergence as interaffecting: Approaching and contextualizing Eugene Gendlin's Process Model - A review by Donata Schoeller and Neil Dunaetz of the new Northwestern Press edition of A Process Model, in Continental Philosophy Review. Send us your Focusing-related high-resolution photos! By sending them to us, you confirm that you have the rights to the photos. You also authorize us to edit and use the photos on our website and communications. If you have air miles that you are willing to donate, please contact us. Your air miles could be used for a variety of purposes, such as to help the volunteer members of the Board of Trustees and the International Leadership Council to attend their face-to-face meetings, or to help someone being certified to attend the Weeklong. Please help give someone the chance for these meaningful connections!